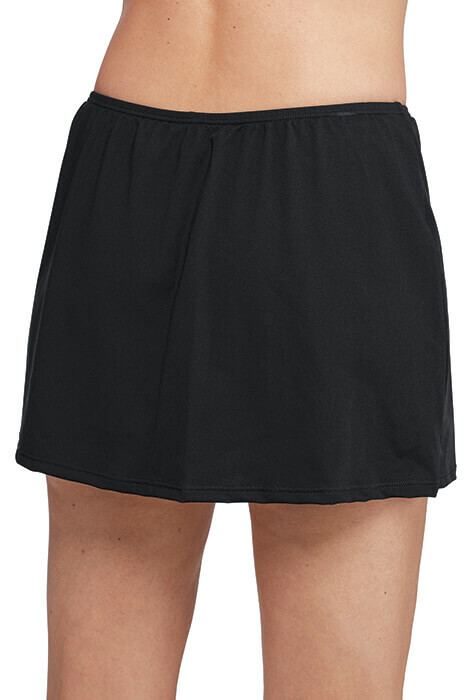 Skirted Compression Short features Speedo® Endurance + fabric for chlorine resistant, 4-way stretch, retaining shape and color longer. Features built-in compression underlayer with 2" inseam. 50% polyester/50% PBT; 13"L. Hand wash cold. Imported. Black. Sizes 8-14 (runs true to dress size). 15 day return policy. Taking a chance on if this will be flattering.